I will never forget how I fell in love with my future wife Janice, disagreeing with her about the Holy Spirit. Both of us were attending the University of British Columbia and took the same bus home each day. Janice told me that she had been baptized in the Holy Spirit and received her prayer language the summer of 1974 at a Christian Ashram retreat. I could see a real difference in her. Her eyes sparkled and her face lit up. I was attracted by what I saw, but was determined to improve her theology. In short, I had the books and she had the experience. In my approach/avoidance relationship to the Holy Spirit, I had read dozens of books on charismatic renewal: pro, against, and muddle-of-the-road. My attempts to solve the Holy Spirit ‘problem’ from the ‘neck up’ had ended up in a ‘paralysis of analysis’. Anything to do with the baptism of the Holy Spirit, as I saw it, was covered by one’s personal conversion. Tongues, of course, were only intended for a few Christians. Part of the reason that I was convinced that tongues were only for a few, was because I had asked for the baptism of the Spirit & tongues many times and nothing ever seemed to happen. So, like the fable of the fox and the sour grapes, I constructed my theology to fit my own experience. During the historic Jesus movement, I was powerfully converted to Jesus Christ in February 1972, the same year that the Rev. Dennis Bennett’s landmark book ‘Nine O’Clock in the Morning’ was published. 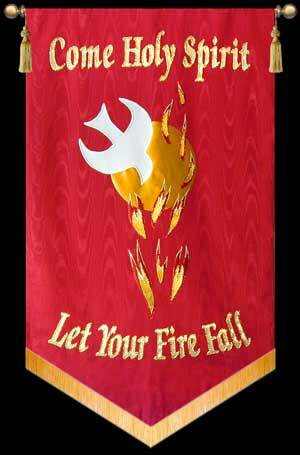 Being a good confirmed Anglican, I didn’t have the faintest idea who the Holy Spirit was. One of the fruits of conversion was that I started to read the bible voraciously. This formerly unintelligible book suddenly felt like reading the latest news from the morning paper. My younger sister Wendy who came to Christ a week later than myself, read ahead of me and stumbled upon the books of Acts and 1 Corinthians. ‘What is the world is all this stuff about tongues and the Holy Spirit?’, Wendy asked me. Being the older mature Christian by a week, I responded by saying: ‘No idea. I haven’t read that far yet’. That week I ran into a new friend, Christina Violini, who offered to pray with me on the girl’s field at our High School for the baptism of the Holy Spirit and tongues. She prayed up a storm for me on two occasions but nothing seemed to happen. I then checked with my youth minister who told me that tongues were of the devil. I momentarily felt glad then that the prayers hadn’t worked! After my youth pastor was fired, the next youth minister told me that tongues weren’t of the devil after all. They were just for a few. 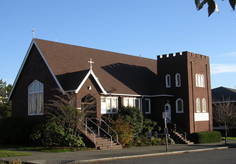 Having reconnected with my original home parish St. Matthias & St Luke’s Vancouver, I became good friends with the rector (Rev Ernie Eldridge) who had a real hunger for spiritual renewal. Everybody but everybody in our parish was reading Dennis Bennett’s ‘Nine O’Clock in the Morning’. We were all very excited about the book but none of us knew how to break through. We soon concluded that it just wasn’t our gift. 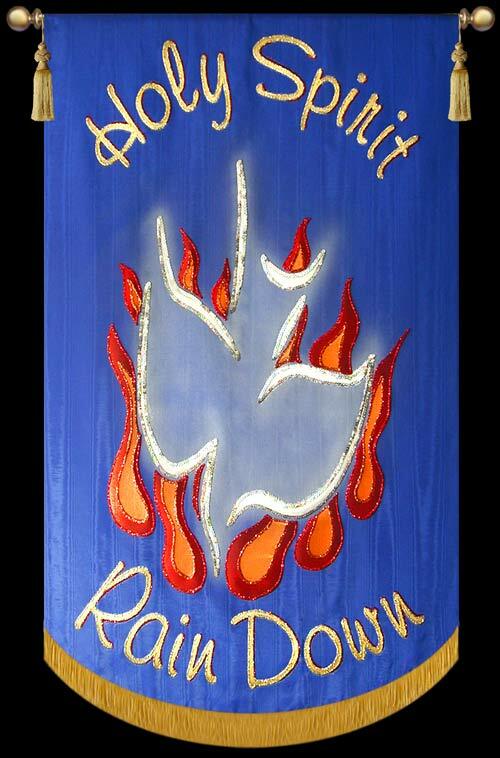 We were still so interested though in the Holy Spirit that we had the Rev. Jim Gunn lead us in a ‘Life in the Spirit’ Seminar. As the evening came for people to receive the power of the Holy Spirit and their prayer languages, I worked behind the scenes to ensure that the evening was watered down to offend no one. As a result, no one broke through. After marrying Janice, I used to love to listen to her praying in tongues as we said our bedtime prayers. When Colin Urqhuart came to St. Margaret’s of Scotland in Burnaby, I fully expressed my approach/avoidance to renewal. Without realizing it, I had arranged it so that I would arrive at the meetings just as everyone was leaving. Janice said: ‘Let’s go home’. I said: ‘No, we’ve come all this way. I want to meet the speaker.’ So I walked into St. Margaret’s, shook Colin Urqhuart’s hand , and promptly went home! Unable to forget about the Holy Spirit, I received a scholarship to attend the Billy Graham School of Evangelism in Seattle, Washington. I thought to myself: ‘Here is the perfect chance to settle the Holy Spirit issue once and for all. I can go anonymously to Dennis Bennett’s St. Luke Church in Seattle. That way if nothing works, I don’t have to tell anyone and I can forget about it.” Despite being deeply impressed with all that I saw at St Luke’s, I still had no breakthrough and promptly put the issue back on the shelf. In the summer of 1979, our Rector the Rev. Ernie Eldridge became involved with the ‘Festival of Faith’ involving the late Rev. David Watson from St Michael’s Le-Belfrey in York. I very reluctantly attended one meeting, out of respect for Ernie Eldridge. Greatly to my surprise, David Watson wasn’t ‘swinging from the chandeliers’. Instead he was very down-to-earth and even a bit boring. This made me feel comfortable enough to come back for the rest of the meetings! Each evening, David became more and more interesting. By the end of the week, I said to myself: ‘I might as well give it another try’. So I went up and received prayer for the baptism/filling of the Holy Spirit. Once again, nothing seemed to happen. As I went home that night however, I started to hear a few words in my head. As Janice my wife prayed for me at home, I spoke out those words and began to speak in tongues. Still suffering from paralysis of analysis, I didn’t decide for three weeks whether I would accept this new language. In the meantime, I was praying so much in tongues and receiving such a blessing that my wife the charismatic started to complain that I was ignoring her by praying too much. I soon got over that! After three weeks, through the discernment of a fellow social worker Penny Hicks, I accepted God’s gift and never looked back. Through the release of the Holy Spirit in my life, God has been teaching me for the past 31 years that where the Spirit of the Lord is, there is freedom! Categories: Uncategorized | Tags: Anglican Coalition in Canada, Anglican Mission in the Americas (Canada), Baptism of the Holy Spirit, Baptized in the Holy Spirit, Battle for the Soul of Canada, Billy Graham, charismatic, Christian Ashram retreat, Christina Violini, Colin Urqhuart, Emotionally Free, Festival of Faith, freedom, Holly Roddam, Holy Spirit, Jesus Movement, Nine O'Clock in the Morning, paralysis of analysis, Penny Hicks, prayer language, Rev David Watson, Rev Ed Hird, Rev Ernie Eldridge, Rev Jim Gunn, Rev John Roddam, Rita Bennett, School of Evangelism, Seattle Washington, Spirit of the Lord, St Margaret's of Scotland, St Matthias & St Luke Vancouver, St Michael Le-Belfrey, St. Simon's Church North Vancouver, Tongues, York | Permalink.